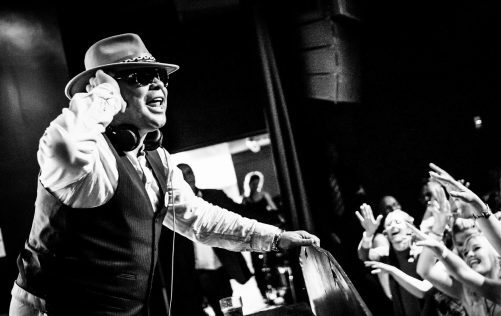 DJ and broadcaster Craig Charles never lifts his finger from the funk and soul pulse and as such, was perfectly placed to weave a thirty-minute preview of this year’s RSD funk and soul offerings into his latest House Party broadcast on BBC Radio 2. Amongst his selections were Wrongtom’s dub flip of Hot 8 Brass Band, Darrell Banks’ beautiful Open the Door to Your Heart, and Harvey Mason’s legendary cut Groovin’ You, which finds its way onto a remastered 12” single. Also available on the day will be reissues of work by some Band on the Wall favourites, including The Isley Brothers, Sharon Ridley, Teddy Pendergrass, The Sylvers and Roy Ayers with Fela Kuti. In the meantime, you can check out Wrongtom’s phenomenal flip of Hot 8 Brass Band below. Craig Charles Funk & Soul Club returns on the evening of Record Store Day 2019 (Saturday 13th April) then again two weeks later, when the mighty Renegade Brass Band take to the stage!